We’ve posted various recipes. We’ve conducted taste tests. 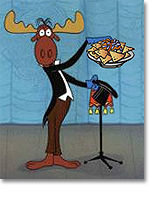 We’ve delivered the very best nacho cheese related news anywhere on the Internet. Now, we’re going to contribute something truly original to the nacho cheese community – An official recipe. A couple weekends were spent in the kitchen creating literally dozens of different nacho cheese sauce variations. We experimented with ingredients and tweaked quantities until we came up with something we were proud to share. In the end, we settled on this original recipe and hope you like it as much as we do. After all, we created it for you! So give it a try and let us know what you think. Story suggestion by: Jayne M. Email us a story. Can’t sleep? Find yourself watching television at 1 o’clock in the morning? Then you’ve probably seen the commercial for Magic Bullet. This product claims that it’s the “personal, versatile, countertop magician that does any job in 10 seconds…or less.®” Strong claim. But can this “magician” make nachos? As a matter of fact, it can! The Magic Bullet comes with a plethora of attachments and also includes the “10 Second Recipe Book.” One recipe is called Nanosecond Nachos. Obviously this recipe is only good if you actually own the Magic Bullet. But if you were thinking about picking one up and was on the fence, perhaps knowing that there’s a quick-and-easy 10 second recipe included with purchase will tip the scale. If you’re interested in checking out the recipe, click here. From time to time I find myself in a situation where I crave the melted goodness that is nacho cheese, but my supplies are totally dry and the grocery store is closed or I’ve had one too many to drive. This recipe is based on some simple ingredients found in most homes. If there’s one thing I enjoy, it’s trying out new nacho recipes. And then I came across this four-step recipe on Recipedia.us and nearly had a coronary. Jeff’s nacho recipe is nothing more than chips. I feel bad for even pasting this recipe here on ilovenachocheese.com, but I believe I owe it to you, the reader, to see for yourself what a disgrace this recipe is and warn others to beware. 1. Buy nachos (brand of your choice). 2. Open bag of nachos using scissors in order to avoid lost nachos. 3. Empty contents of bag into a large bowl (this step is optional). 4. Consume nachos, but be careful to not eat the bag – this can lead to choking. Author Joe Brian and StevePosted on February 22, 2007 Categories Opinions, Recipes8 Comments on Ummm…You’re Joking, Right? Average Betty. Who is she? What is she famous for? Why do we care? The fact is…I don’t know. What I do know is that the self-proclaimed "Time Magazine Person of the Year" has recently posted a New Year’s Resolution video that promotes Nachos. And as far as I’m concerned, that’s plenty reason to scribble (type) a few lines of text. 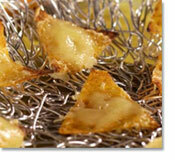 Titled, That’s Nacho Resolution, the video gives a quick step-by-step recipe for Nachos. Personally, I found the video to be a bit on the annoying side…but what the hell do I know? Average Betty has a following and is even up for the "Yahoo! Best Internet Personality" Award.